This ring is a great reminder of the unconditional love we get from our pets. 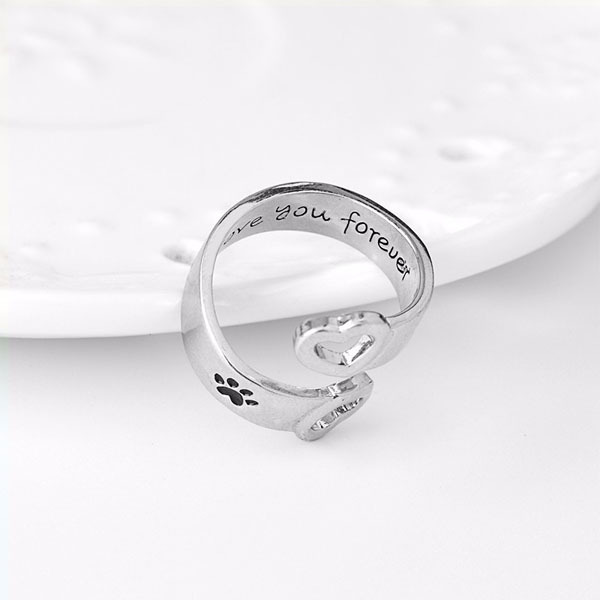 Inscribed “I will love you forever” with cute paw print design. 50% OFF LIMITED TIME SALE! Ships in a beautiful ring box ready to be given as a gift.